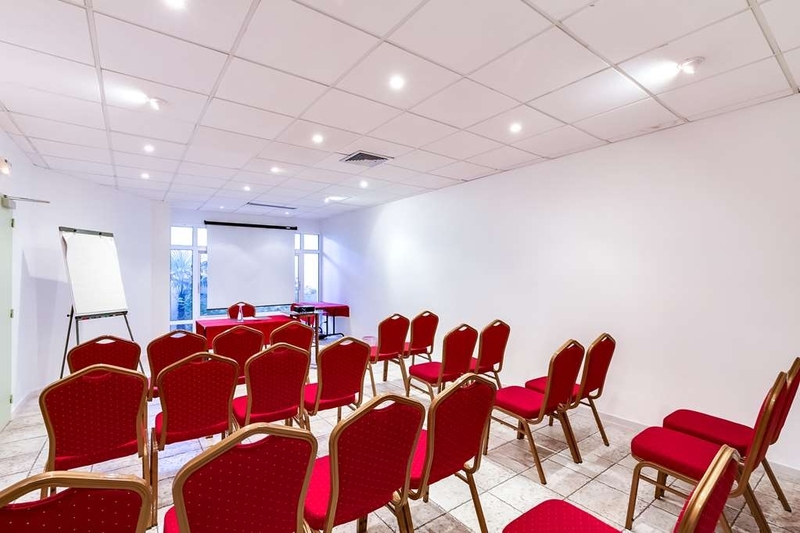 The Best Western Hotel Paradou Mediterranee is ideally located in the center of Sausset-Les-pins. Come and experience our hotel near the major tourist attractions. Best price guaranteed and exclusive deals. The Best Western Hotel Paradou Mediterranee is located by the beaches in the centre of Sausset-les-Pins. The air-conditioned rooms boast private balconies and guests can enjoy the use of an outdoor swimming pool. 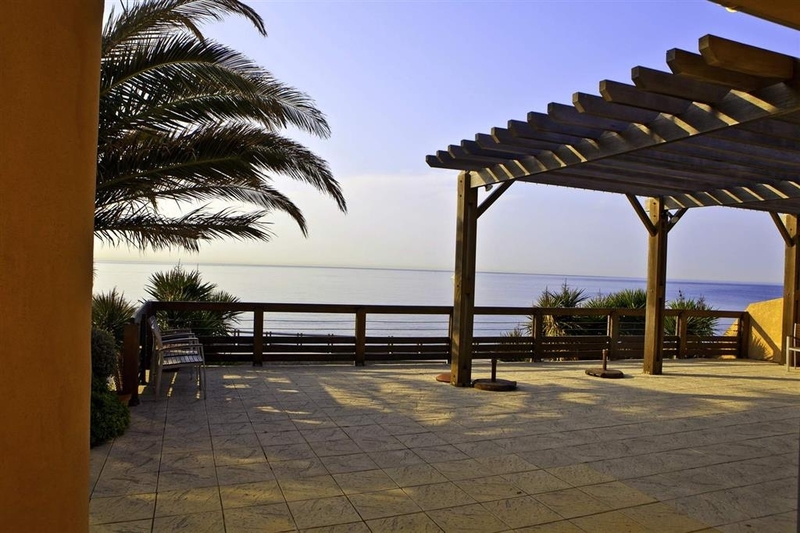 The area surrounding the Best Western Hotel Paradou Mediterranee is great for outdoor activities. Tourist attractions in Sausset-les-Pins include the impressive Chateau Charles-Roux. Free private parking is provided at the Paradou Mediterranee, so you can easily explore the Cote d'Azur by car. The popular city of Marseille is within easy reach. At the Paradou restaurant you can sample fresh seasonal produce. The friendly and attentive staff at the Best Western Hotel Paradou Mediterranee offers a range of services and will be happy to help you 24-hours a day. "Superb location, perfect for families"
Sausset les Pins is a lovely little seaside town and this hotel is the only one in here. Perfectly located next to the harbour and rocky beach. Would recommend for families and couples alike. The hotel is a little dated however is perfectly clean and has a balcony on every room which is unusual in this price range. Breakfast is basic for the cost, however you can get a continental (not buffet) for 6 euros which is well priced - this isn't advertised on the website. Pool is spotlessly clean and not busy except for after 4pm as per all pools in France. Thoroughly recommended hideaway! One books the Best Western because its good value, acceptable accommodation. What I hadn't expected was the utterly superb food. Every meal is a delight - tartare de boeuf, turbot grille, and many, many other dishes - coupled with good value, delicious red wine. Excellent, friendly service and an unhurried atmosphere - very highly recommended and a hidden gem! "Nice hotel close to the ocean." From the outside Hotel Paradou looks very good with a large parking place. It is situated at outer end of the port and the ocean just outside. The road is passing just outside the hotel, but not much annoyance (except for the bikes). The reception looks ok and further on, there's a nice bar. To the left it is a seating group and beside that it is a billiard table and a manual football play. Behind all this (on the left side) is the restaurant with table outside too. The staff are kind and helpful to you. Just outside this room is the pool with sun beds. What I missed was a parasol. It is hot in the sun. My room was at the second floor with a nice balcony. The room was of fair side. So was the bathroom, with a shower and also Hans Grohe armature. It looked neat. At the balcony I sat at the afternoon or evening enjoying the view to the inlet of the port and the ocean. You can also see the rocks of Marseille in background. But, when I was there, there was a circus/playground just in front of you at the port. It was a little annoying, but it stopped at midnight. The town is modern with good roads, but no sand beaches, only those with small round stones. What would this town have been with sand beaches.! "Very bad first impression - unfortunately"
As a frequently traveller (having approx 120 nights Per Year in hotels) I booked a 3 nights stay as part of the vacation. First impression you always get is arrival at the reception desk; was met by a very unfriendly lady asking if we really wanted a 2 single bed room as requested? Was willing to compromise for a double bed as long as we still had a balcony - got room 126 a double bed and a single bed and a balcony for 1 person with 1 chair less than 1 meter to the roof of the next building! Down to reception to complain - with an even more unfriendly lady (the same) giving us a Key for room 133 informing that we only reserved for the first floor! However, at reservation there were no indication if we wanted first or second floor! Now we got a double bed room. When complaining to the travel agent the lady informed that we volunteerly accepted a double bed - but the first room was also a double bed!!! Second evening the same lady was on duty. She noticed we came to the bar and only I was there - but immediately she left, coming back 5 minutes later where a new couple was waiting in the bar; she went to them immediately to serve them completely ignoring me - again 5 minutes later I kindly asked for some icecupes for the water - and it was definitely not with a smile as she decided to go into the reception to support another client with the payment (also arriving after us) before she decided to give us some icecupes. Properly one of the worst experience in my 20 years of travelling 150 days Per Year. I thought Best Western could do better. The reason for evaluating this to 2 is only because of the rest of the staff. "Great value hotel on the seaside"
"Ideal location on see front"
The welcome is probably a bit "coldish" and there is little specific soul in this hotel. Having said that, I had a room with balcony and (a little) see view. It was fine. Given the location and the charming spot I would recommend the place. "Great Location by the Mediterranean"
The hotel is greatly situated within walking distance of the beach and many good restaurants. Service is very friendly and personal, and the staff speaks English. Dis not try the restaurant for dinner, but the breakfast included in the rate was very good. "Quite good hotel at the seaside"
Hotel is just beside the seaside, however, no beach for swimming is close by. The hotel in general needs a bit redecoration. The rooms were clean but a bit small. Little balcony facing to the sea. - The brakfast buffet was OK, but not more. Coffe from a coffemaker. Wehn the scrabled eggs were out I asked for new one. They just took the old form with incrusted old egs and put the new ones on top - could be much better. - All in all it is more a hotel for one night and the price with 127 € a bit too high. My husband and I spent 3 nights in this quiet hotel and we will be happy to return again. The rooms are nice and clean, with a wonderful view. We felt very relaxed in there. The offered continental breakfast is what we needed to start the day. Thank you guys! We spent one night here during our South France tour, nice location right on the sea and close to all the restarants which are located in the port area. The room was nice, nothing too cool or new. The patio outside is a nice place where to have breakfast, the swimmingpool is a joke. We stayed for two nights in September and found the hotel adequate. It really needs an update as the whole place looks tired and shabby. Staff we found pleasant enough. Only ate breakfast here as it was included in the price, but it was nothing special. We had sea view room which was also just ok. Parking in the hotel car park was a bit of a problem, the hotel seemed to be running conferences and the car park got very full, making it either difficult to find a parking space or having to manoeuvre out between haphazardly parked vehicles. "Short Trip to see Family"
Nice hotel well situated in the middle of town looking over harbour and sea. Did not eat in restaurant just breakfast which is a buffet type which was adequate. Staff are friendly No English speaking TV channels available. Beside the sea. Near a small port. A pool. Free parking. It should have been at least very good, but it wasn't. The "seaview room" had more of a view of the roof of reception than the sea and really all you could see was the horizon (see picture). The room was small and cramped as was the balcony with cheap plastic seats. The air-con was ancient and could not be varied from the set temperature....someone had seized the control. The en-suite shower room was slightly better. The pool was small and cold and quite deep in places. There few loungers were largely occupied; might be an issue it the place had been busier. The towels for the pool area were much better than the room towels. Locally there is a nice small harbour with boats available for hire but the seashore area is very rocky. It is popular with scuba divers but not really suitable for families Breakfast was a help yourself buffet with fairly standard offerings. Check out- was a bit of shambles but was sorted with politeness. Overall the hotel needs some investment if it is to succeed but the area is not really suited to those seeking a seaside holiday unless looking at the sea from a promenade is all you want, or scuba diving. We won't be in a rush back. "Adequate but small room and terrace." We stayed here for just one night due to its proximity to the airport. The location is excellent and the welcome was friendly and professional (although, see post below, had we been offered a six euro breakfast rather than twelve euro we may have eaten in the hotel rather than going to the nearest cafe). Our only disappointment was the size of the room and terrace, judging by the fact that we only had coffee making facilities for one person I suspect we had been given a room that was normally designed for single travellers, however, the bed was big enough and it was only one night so we did not quibble over this. The views over the town and across to Marseille were spectacular but otherwise the hotel was adequate without any aspect lending itself to superlatives.